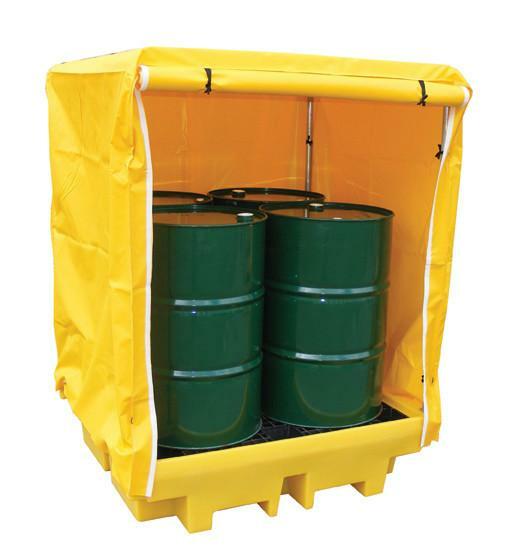 Keep drums protected from the elements with this covered spill pallet is suitable for 4 x 205ltr drums. 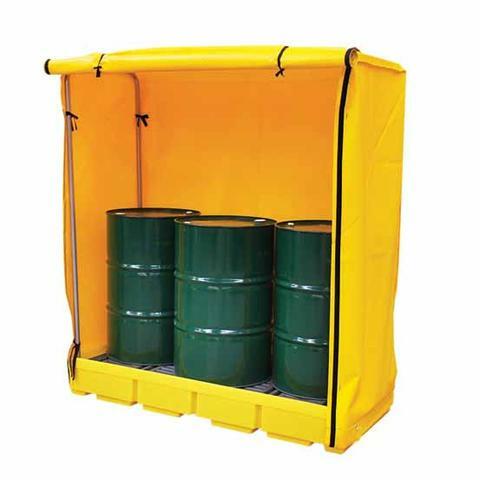 The cover prevents rain water from reducing the containment volume and can be easily tied in place using the straps provided. 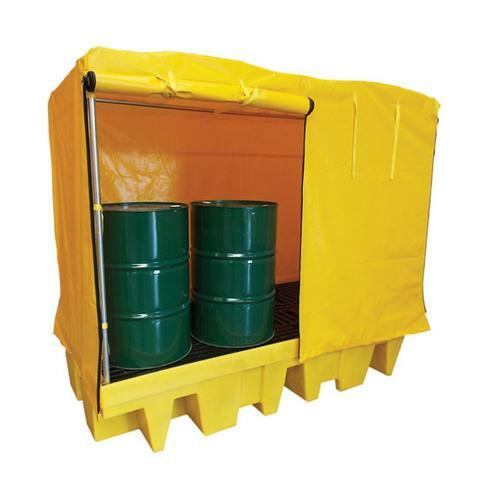 Compatible with most liquids and with forklift pockets this model can be easily assembled and the plastic grid removed for cleaning. Fully compliant with UK and EU regulations.